Neals Haulage currently operates B-Double units transporting freight both intrastate Victoria, including Metropolitan Melbourne and also regular interstate trips to Sydney and Adelaide and smaller cities/towns from Bathurst to Bombala. Due to the increasingly demanding nature of the freight transport industry, Leigh wanted to look at other truck brands that would help the company “remain competitive” and give him the edge over his competitors. 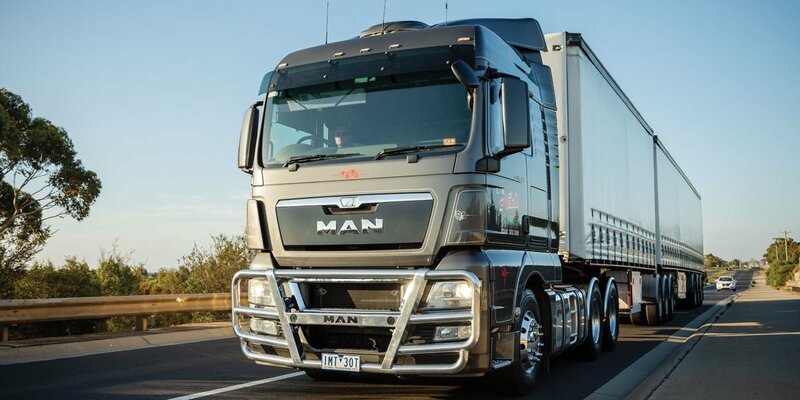 Leigh had known about MAN trucks for a while, but it was Jarrod Bennetts from Westar who convinced him that an MAN TGX would be the ideal truck which would boost his business profitability. “Jarrod explained that the MAN brand would be ideal for the routes we operate and business requirements and, well, the rest is history,” Leigh stated. It’s proven to be a great choice; not only is the truck proving to be a winner from an economic and business perspective but it is extremely popular among the drivers. “All the guys love it”, Leigh explained. “When I told them I was getting the MAN, one guy came up to me and said ‘I’ll drive it for you’ – that was the sort of positive reaction!” Leigh stated. Leigh himself sometimes drives the MAN during night deliveries, and finds the comfort a revelation compared to other trucks in his fleet. “I get out after a long journey not nearly as fatigued as what I’ve been used to,” Leigh added. 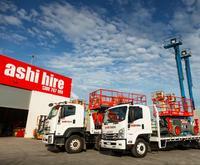 Leigh has since found out that one of the best features of the truck is the outstanding fuel efficiency. 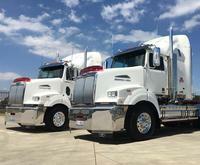 “The truck now drives 1.92km to the litre,” Leigh said. “That’s much better than what I’ve had previously,” he continued. “There’s really not a bad word I can say about it – the efficiencies of the MAN are just unbelievable compared to the other brands I operate,” Leigh praised. Leigh and other staff are so impressed with the MAN that they have purchased another one that is due to be delivered in June. 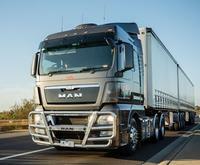 This new vehicle is the flagship MAN TGX D38. “The safety features and the whopping level of horsepower it offers - 640hp - were the main reasons why I decided on this particular model,” Leigh said. The MAN is returned to Westar for servicing. “We have mechanics here including myself but Westar do a terrific job,” Leigh said. “They are the experts that know the trucks inside and out so why wouldn’t I get them serviced at Westar?” he continued. Regarding the future, Leigh plans on remaining at a similar size. “We are comfortable at the size we are at,” Leigh explained. “It is working well for all of us. Unless we are offered a larger contract, we will keep going the way we are going,” Leigh concluded. The MAN has provided Neals Haulage with a truck that offers outstanding operating efficiencies whilst providing drivers with a new level of comfort. It’s a big win all round.